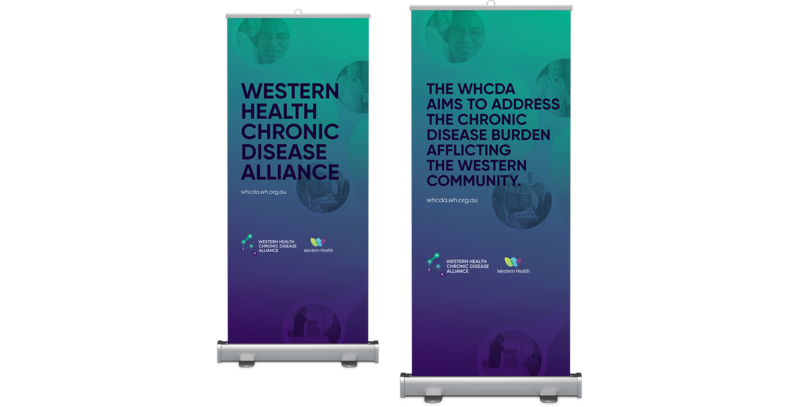 Western Health Chronic Disease Alliance (WHCDA) is a newly formed research initiative by Western Health. 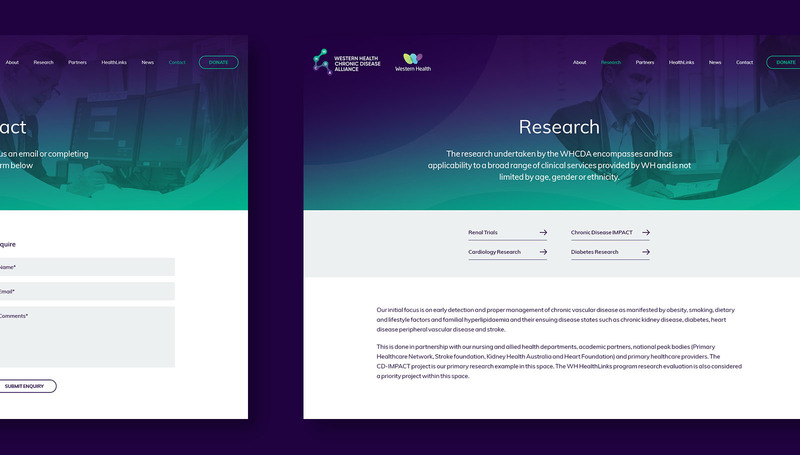 Grindstone was engaged to develop a brand to form a collaborative platform for WHCDA to engage in research with external stakeholders and partners to improve clinical outcomes for chronic disease within Melbourne’s west. 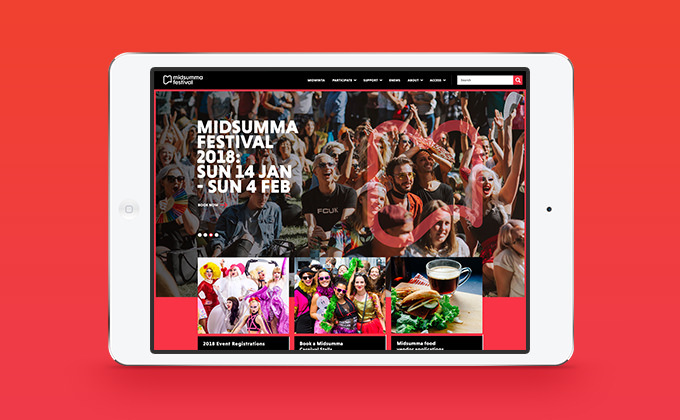 Grindstone’s approached was to develop a brand platform that moves and morphs through a molecular framework. 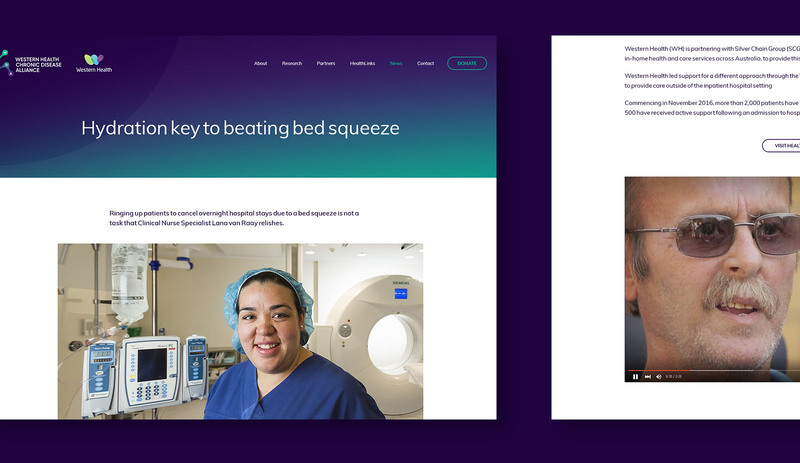 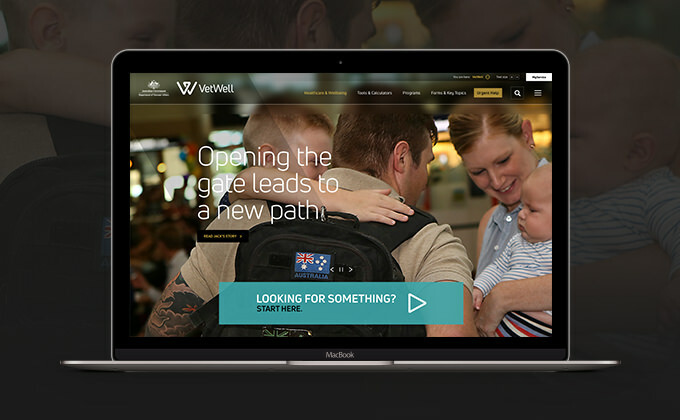 Creating a living, breathing brand highlighted the continual quest for better integration, coordination and outcomes for chronic disease research at Western Health. 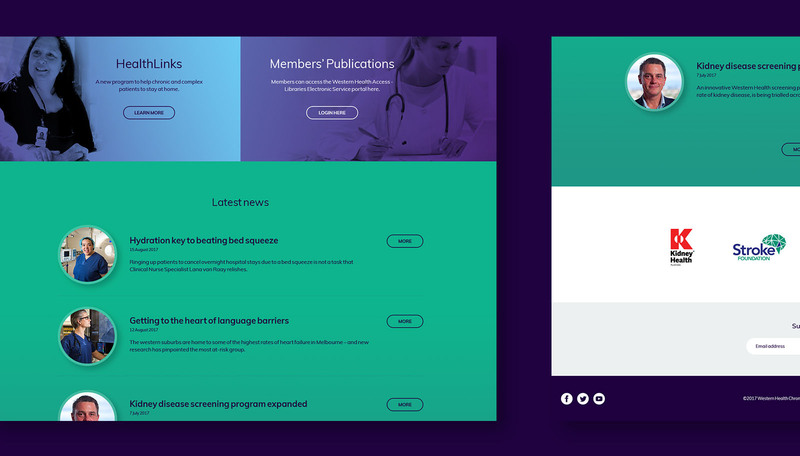 The resulting brand mark is a microscopic view of living, breathing cells. 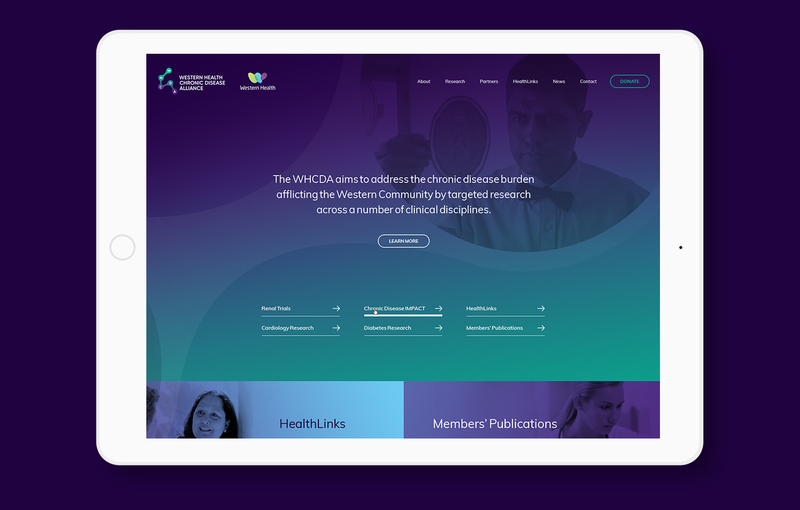 It represents a distinct focus in chronic disease research and highlights WHCDA’s commitment to collaborating with partners and stakeholders to better inform the provision of best care for chronic diseases across the Western Suburbs.